Our long-standing commitment to the wholesale sector was recognised with the FPC award for Wholesale Supplier of the Year in 2014. The following year we struck gold again at the “Oscars” of the food industry winning the FPC award for Food Service Supplier of the Year 2015. We were also recognised by the Sunday Times for two years running as one of Britain’s private companies with fastest-growing international sales growth. 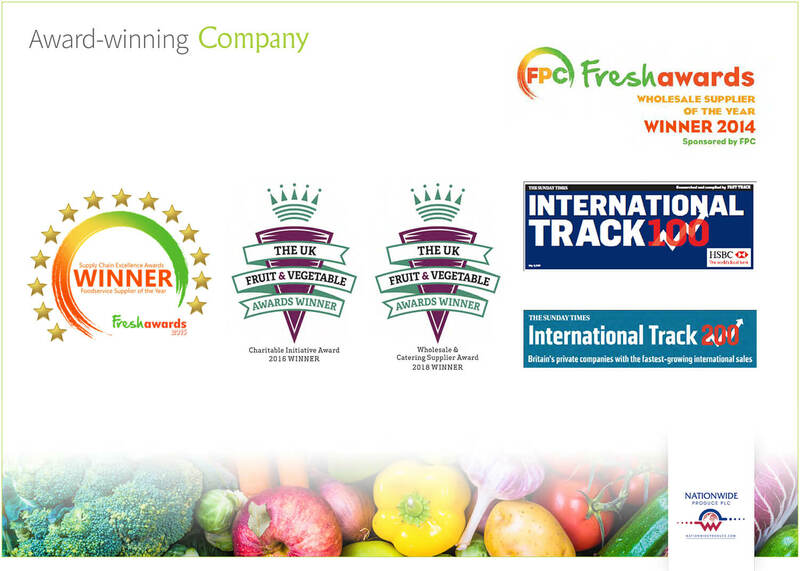 In 2016 we won the Fresh Produce Journal UK Fruit & Veg Award for “Best Charitable Initiative” and in 2018 we won the same award but this time for “Wholesale & Catering Supplier of the Year”.